I have enjoyed woodworking all of my adult life, but it all began much earlier. I remember reverently my first pinewood derby car in cub scouts and the great joy I had in making something with my hands. From that point forward I knew I would be working with my hands for the rest of my life. To that end, I attended the University of South Dakota for my undergraduate education and completed by training there in 3 years prior to getting my Doctorate of Dental Surgery from the University of Minnesota in 1997. I chose my profession because I love to learn, fix, create, and explore with both my mind and my hands. At the same time I married my wife Peggy and we began a family. During my time in school I didn't get to do much building except for the occasional piece of furniture that my family could use. I received a Health professional scholarship during from the US Army and lived in Hawaii, Texas, Louisiana, and Germany over the course of five years. During each of those stays I learned how each culture used the wood available to them to create furniture and accessories special to them. Each military base also had its own woodworking shop and I was able to become accomplished with a large number of tools which I couldn't afford on my own. Each woodshop had a dedicated woodworking instructor assigned to it, and I took every opportunity to try woods native in that region while learning the specific way each region fabricated their pieces. I received my honorable discharge from the Army before moving back to the midwest where I grew up to begin my career in dentistry and woodworking. In the process of moving back I carried a large truckload of red oak, cypress, and sweet gum with my furniture on my way home from Louisiana. Shortly after moving back I and a couple of other gentlemen started the Siouxland Woodworkers Guild which I was president of for a number of years while living in Iowa. I am now President of the Sioux Falls Woodworking Guild and live in Sioux Falls. I attended a formal apprenticeship in woodworking with a master woodworker during the same time I lived in Iowa who had previously been foreman of National Woodworks and continued to make pieces that I liked or other people needed while helping on projects for the Orpheum in Sioux City. I went back to europe shortly after that and increased my knowledge of woodcarving and sculpting in Austria at their national school "buildhauer" program. My education blossomed and I started writing under the "Guild of Master Craftsmen" and published multiple times in American Router, Wood Magazine, and American Woodworker. One of the most memorable times with teaching and writing was being invited to Wood Magazine headquarters to teach their staff about the many figures of wood with my children watching. It was in europe that I gained my love of precision woodworking and fine pieces. With space at a premium everything had to be "special" or it just wasn't worth taking up the space in your home. Each family would have one plate, fork, knife, and cup which was cleaned after each meal. The plate was made of wood and I loved the simplicity of their life and design ideas. I continued expanding my knowledge of woodworking and formed a cooperative with Ray Sturdevant M.D. a pediatrician and friends from Sioux City Iowa. Our "Wood Docs" company kept growing until we grew larger than either of us could manage. 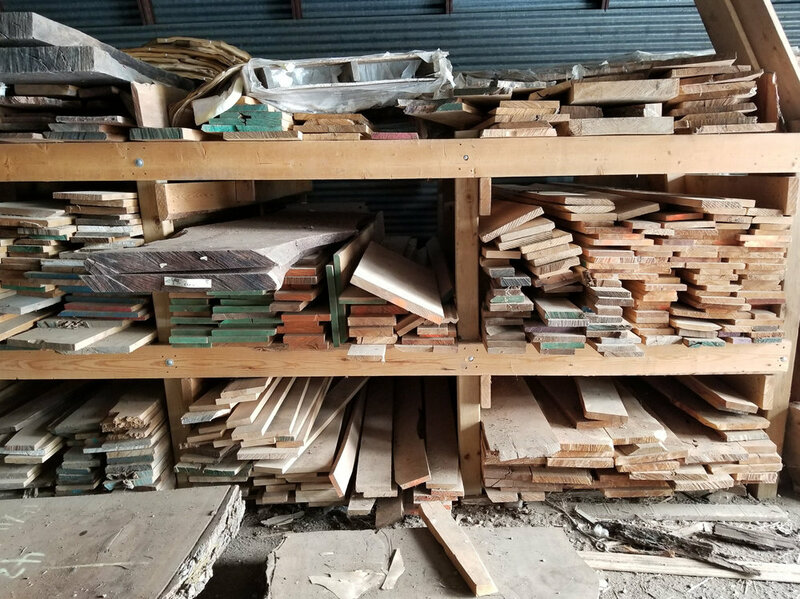 Today I have shrunk the business to a manageable size with the website www.hardtofindwood.com with just a few sawmills, wood kilns, and wood yards throughout the country. I have a local makerspace and commercial shop called Sioux Falls Woodworking located at 1108 West Blackhawk, Sioux Falls, SD 57104. You can find the hostess stand at the Sandbar and grill, and the large bar height table in walnut and steel in Ode to food and drinks as some restaurant projects I completed that you may have walked by. I and our shop guys have completed projects for attorneys and design firms downtown, made the new boardroom table for the President of First Dakota National Bank, and completed the boardroom table for the new Sanford Hospital Foundation hall. This is the largest table we’ve built at 30 feet long and 6 feet wide.